Ford 460 V8 is one powerful motor. It was produced for decades for the Ford Motor Company. This engine is one of the last great engines from the last century. Ford stopped production on the 460 around the time that the Triton was developed and released. You don’t have to settle for buying something new when you can still get the older technology. These engines are absolutely awesome and they are not complicated to install. We are one of few sellers online to price these Ford 460 7.5L crate engines at big discounts. Doing an engine swap or total replacement will not set you back a lot of money here. When you need power, look no further than the 460. You get a whopping 365 horsepower. This is enough power to make anyone jealous and make you the envy of the neighborhood. The 385 engine base block was used for the 460. Many of the F-Series trucks that were produced from the 1960s to the late 1990s used the 460 due to its extreme power. Getting your crate engine to your location is not an issue here. We have what we feel is the best shipping staff in the industry. Crating and sending out engines sounds easy and harmless but it’s not. It is a lot of hard work and they make it appear easy. We have a special process for helping customers take home a 460 engine. It all begins with how we bring engines in our facility for sale. We work with only the top Ford engine suppliers. This is to lessen the risk of problems that can be common with crate engines. There are too many sellers that build offshoots of OEM blocks. These engines are not what someone wants if he or she wants an OEM engine. We don’t deal in aftermarket engines. We have only a real Ford nameplate crate engine. This ensures that all customers have access to the same horsepower and features that Ford is known for around the world. Your great deal does not begin nor end with our pricing. We do some other things to make you happy too. The first is that every engine is shipped from our world class facility. Our team knows just what to do when orders come in and how to get them to a destination quickly and safely. These pros are part of the reason that we sell a lot of of each crate engine in our lineup. Another thing we do for customers after a sale is made is give extensions of warranties. There are too many sellers that give 30-day or less warranties. We wanted to be different and we are different. We extend the time period to cover you during your ownership of 7.5L crate engine. You can start by calling our engine team. 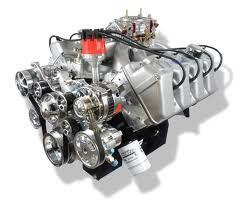 We’ll give you a 460 crate engine quote fast. We’ll also get right to answering your questions or concerns. Online quotes are simple for you to get on this website. Just give the information the quote form requests. You then review your quote and contact us when you’re finished.